TEL AVIV: The US and Israel have completed a unique joint missile defense exercise seen as crucial to defending the Jewish state against Iran. 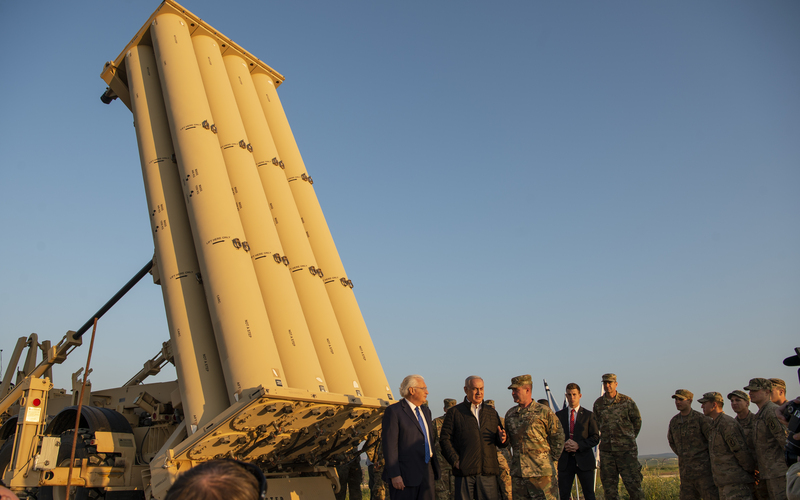 Not only did the US deploy its high-end THAAD system to Israel for the first time, but the two nations integrated the American weapon into the Israeli missile defense network and tested the combined US-Israeli defense in multiple scenarios. “The [THAAD] system was integrated as an equivalent of the Israeli Arrow,” said the Israeli missile defense commander, Brig Gen. Ran Kochav. Arrow (Hetz in Hebrew) is the mid-altitude interceptor in Israel’s layered missile defense. Built by IAI and Boeing, with key components built in Mississippi, Arrow works together with the famous Iron Dome — built by Rafael to operate at low altitude, primarily against unguided rockets, of which it’s intercepted hundreds since 2014 — and the very-high-altitude David’s Sling, built by Rafael and Raytheon. 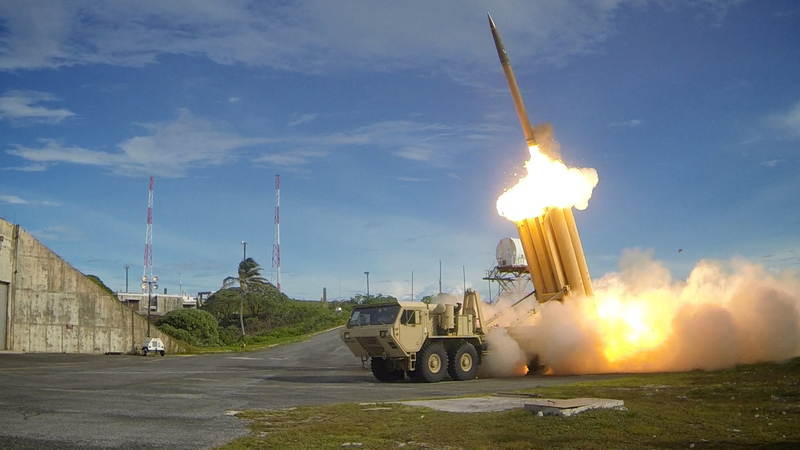 By plugging THAAD into the system in Arrow’s mid-altitude role, the American operators were able to train alongside Iron Dome and David’s Sling as well. Just deploying the US contingent was good practice for rapidly responding to a crisis. US Air Force C-17s flew the Army THAAD force — about 230 troops from regular army units at Fort Bliss and the Ohio National Guard with 70 major pieces of equipment — to Nevatim airbase in southern Israel. But rapid deployment, whether for a wargame or a real crisis, depends on extensive preparation beforehand. The THAAD exercise followed on February’s Juniper Falcon 2019, which involved headquarters units only but served as a dry run for the actual deployment of weapons systems. This year’s Juniper Falcon, in turn, is just the latest in a long series of biannual exercises. THAAD — which stands for Terminal High Altitude Area Defense — isn’t the only US system with a role in defending Israel, either. Besides the famous Patriot, which is shorter-ranged and lower-altitude than THAAD, there’s also the Aegis system used on US Navy ships. (Aegis is the control system: The interceptor is the SM-3 Standard Missile). 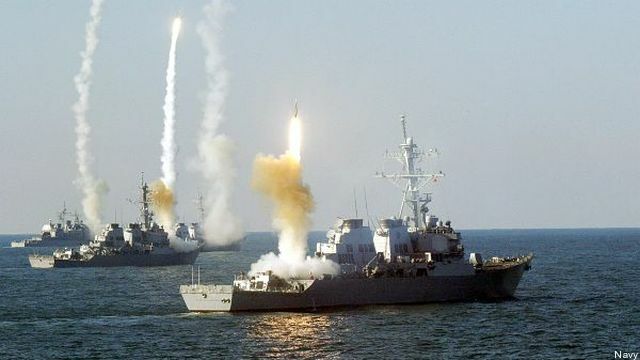 Aegis ships in the US Sixth Fleet play a significant role in the defense of Israel, said Yair Ramati, former director of the Israeli Missile Defense Organization (IMDO). Adding US Army THAAD deployments to the mix will provide robust backup to the Israeli Arrow, he added. 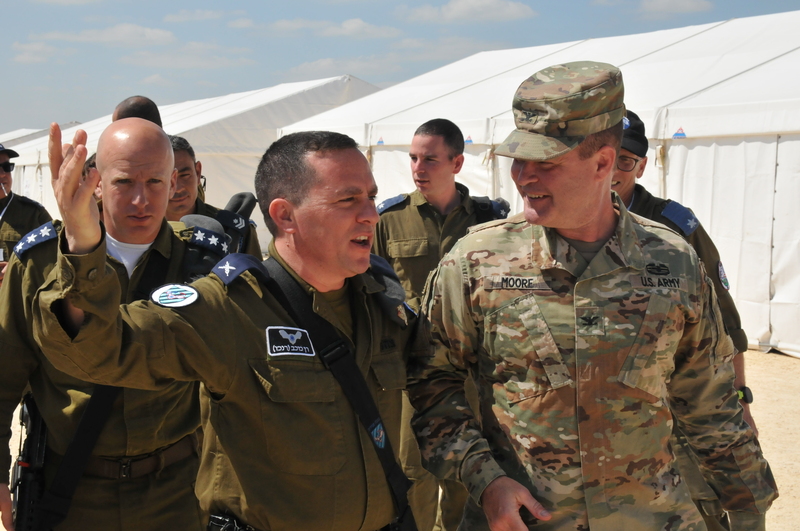 And US-Israeli missile defense cooperation goes beyond joint exercises, Ramati told Breaking Defense, to include co-development and production of weapons systems, as well as work on improving interoperability between the two countries’ forces. One major step in the two countries’ collaboration will come this summer, with the test of the Arrow-3. IAI’s Arrow missile defense system. This summer, it’ll be the Americans’ turn to play host, with the Israelis bringing the upgraded Arrow-3 to the Kodiak range in Alaska for a test against live targets simulating the performance of the most advanced Iranian ballistic missiles. The wide open spaces of Alaska allow a much fuller test of Arrow’s capabilities than the relatively narrow territory of Israel. The Alaska test had been originally planned for 2018, but it was postponed to allow further work on the Arrow-3 upgrade. While Arrow-2, the variant currently in service, uses a proximity fuse to detonate near the incoming warhead, Arrow-3 is designed as a hit-to-kill interceptor, with a kill vehicle detaching from the missile body to hit the target directly and destroy it by force of impact instead of an explosion. Hit-to-kill technology is considered a more reliable way to defeat an incoming missile than shrapnel. Some of the explosive-warhead Patriots used in the 1991 Gulf War, for example, didn’t really destroy incoming Iraqi Scuds so much as scatter them over the landscape in potentially lethal pieces. But scoring a direct hit on a small target at supersonic speeds requires highly precise sensors and an extremely agile interceptor. To achieve that, Arrow-3 will not only be more maneuverable than Arrow-2 but much smaller, lighter, and capable of intercepting the target outside the atmosphere in space. Giving urgency to the joint training and testing is the threat of Iran. When European countries and the international nuclear committee say they are satisfied so far with Iran’s compliance to the deal ending its nuclear weapons program — the so-called Joint Comprehensive Plan of Action (JCPOA) from which the Trump Administration has withdrawn — Israeli intelligence experts respond with incredulity. All Israel’s sources point to an uninterrupted Iranian effort to develop both nuclear weapons (a violation of JCPOA) and long-range ballistic missiles capable of carrying them (JCPOA doesn’t even address missile development). Israel also believes Iran is trying to build production facilities in Syria to upgrade and replace that country’s aging Scuds. Israel has promised to destroy these facilities and the Israeli air force has already conducted over 200 strikes against suspected Iranian targets in Syria. But the bigger threat is from Iran itself, which is building up an arsenal of missiles much more potent than the ancient Scud. Two of them are particularly worrisome, Ramati said. The Shahab-3, derived from North Korea’s No Dong 1, is a medium-range ballistic missile with a range of about 800 miles. That makes it Iran’s first missile able to threaten Israel, western Saudi Arabia, and other countries beyond its immediate neighbors. The Shahab-3 is also road-mobile, allowing its launcher to hide in tunnels and cities, although its liquid fuel makes it somewhat slower to prep for launch than solid-fueled missiles. Iran is also developing the longer-ranged Khorramshahr. It’s able to hit targets 1,200 miles away by Iran’s official estimate and quite possibly farther, since it’s based on the Musudan, a North Korean knockoff of a Soviet missile with a range of 1,500 to 2,500 miles. Like the Shahab-3, the Khorramshahr is road-mobile and liquid-fueled. US sanctions and Israeli airstrikes in Syria are increasing the pressure on Iran. So the allies want to make sure they have their joint response to missile threats well rehearsed before they ever have to use it — and they want to make sure Iran knows they’re prepared.